A powerful, single-target shot that deals <<1>> weapon damage. Deals <<1>> internal damage over <<2[%d seconds/%d second/%d seconds]>> and causes the target to become sundered. Sundered targets have their armor reduced by 20% for <<3[%d seconds/%d second/%d seconds]>>. Fires a missile at the target, dealing <<1>> weapon damage to the target and up to 4 additional hostiles within 4 meters. Fires a precision shot at a target with less than 30% health, dealing <<1>> weapon damage. Fires a flare taunting attacking enemies and forcing them to attack your companion. Blasts the target, dealing <<1>> weapon damage, healing the companion for 25% of the damage dealt, and generating a moderate amount of additional threat. Activates an explosive that deals <<1>> energy damage to up to 5 enemies within 4 meters of the companion. Generates a moderate amount of additional threat and reduces incoming damage by 50% for <<2[%d seconds/%d second/%d seconds]>>. Does not hit sleeping, lifted, or incapacitated enemies. 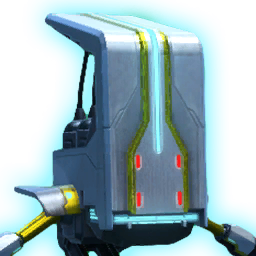 Reinforces the companion with an absorb shield that absorbs a moderate amount of damage and taunts the target, forcing it to attack the companion for <<1[%d seconds/%d second/%d seconds]>>.